The “Must-have” of autumn is definitely this fabulous poncho. It’s made from Hobbii Nature and Mayflowers Super Kid Silk. 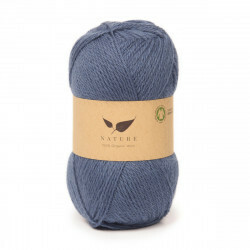 The combination of these two quality yarns gives an incredibly stylish appearance, and makes the poncho woolly, soft and really lovely and comfortable to wear. 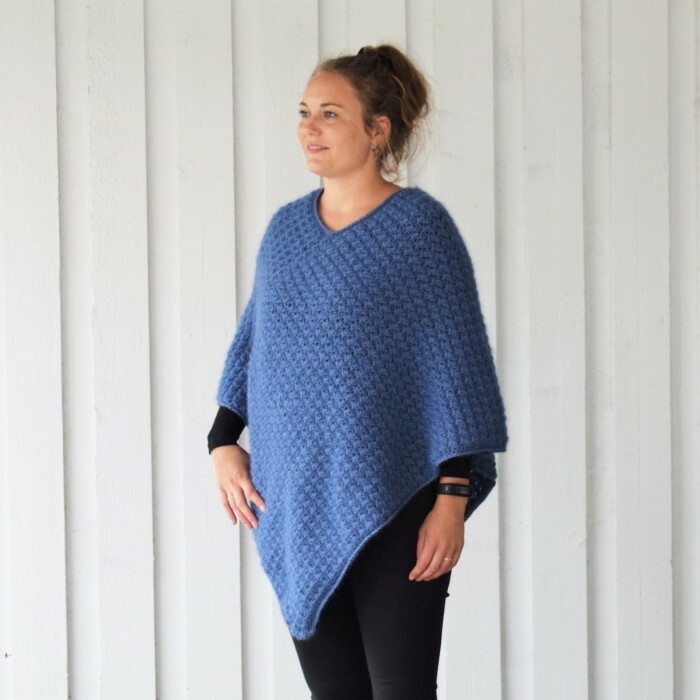 The poncho is designed in a beautiful and light "puffed" pattern, yet it’s still simple and elegant - Perfect for any occasion! 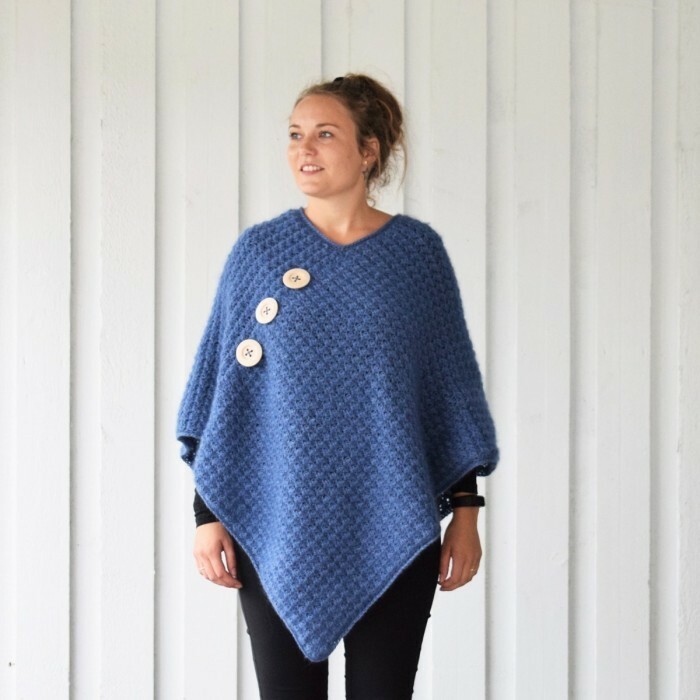 Add a little edge to your poncho with a couple of marvellous big wooden buttons. 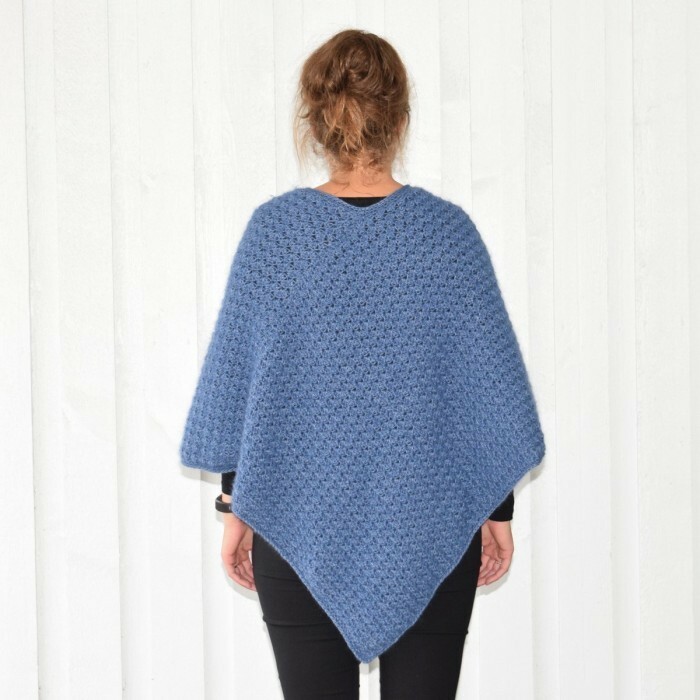 The poncho is available in sizes US 18/20 and 22/24 (EU 48/50 and 52/54).